Personal Checks - Up To 80% Off Regular Bank Prices! 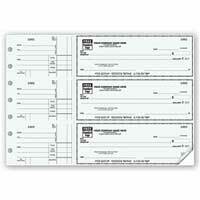 Order Deluxe Business Checks - Save Up To 50% Off Bank Prices! Our cheap personal check collection has over 206 check categories to choose from - enough to ensure your satisfaction! Check designs are from famous Artists like Thomas Kinkade, David Dunleavy, Disney artists and many designs from local designers. 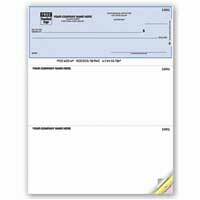 We carry several different check formats - top tear checks, top stub checks and side tear checks. All you need to order checks is an active checking account. You will need to write down your account number and the bank’s routing number. Double check your routing and account numbers for accuracy. Please review your order carefully for spelling errors. They are just too easy to make. Once you are satisfied that the information is correct, you can process your order. Checks will be delivered directly to your home address. It’s really simple and easy to do. Delivery time depends on the type of shipping you choose at checkout. Coolchecks.net has an exclusive partnership with Deluxe Corporation which allows us to offer you coupons and discounts on business checks. Our inexpensive business checks collection offers computer checks compatible with major finance software companies like Quickbooks, Money and Peachtree. Whether you use manual or laser checks, we have selections that can't be beat and pricing so low you'll be glad you shopped here. We care about your personal finance education and success. Coolchecks.net has devoted an entire section of our website to helping you with any problems you may go through in making financial decisions. Many financial expert authors have contributed to our articles. Topics include budgeting, saving money, making more money, investing and news worthy events that may affect your checking accounts. Our personal finance blog has been recognized by Intuit.com as one of the best personal finance blogs. Don’t hesitate to contact us by email regarding any other questions you may have.